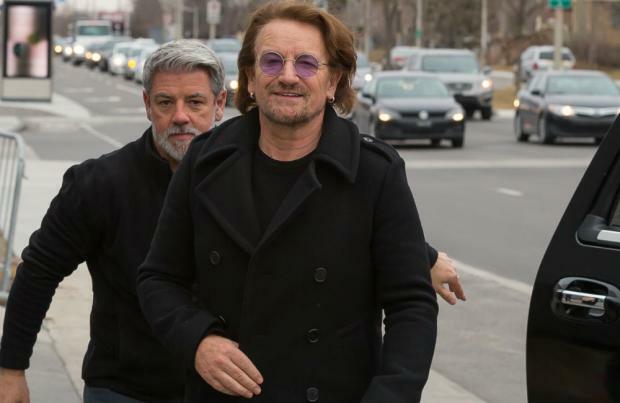 Bono felt "emasculated" when he lost his voice. The U2 frontman had to cut short a gig in Berlin, Germany, in September when he began to struggle due to the smoke in the arena and he admitted people around him were "alarmed" because he'd had no problems before going on stage. Speaking to Q magazine, he said: "It was emasculating. I didn't know quite what it was. I had nothing wrong with my voice before the show. "It wasn't laryngitis. That's what made people alarmed. It was some allergic reaction and it just turned it off. Turned off the voice." Despite the 'One' group's years of success, the 58-year-old singer thinks it's taken him until now to be as "great" as the rest of the band. "It's not like there was an earlier period where I thought, 'This is nearly as good as back then.' This is like better. "Then I realised they have always been very good-to-great. I heard early Marquee shows back and realised the band, the musicians in the band, have always been very good-to-great, but I wasn't. "I was a great lightning rod and frontman but when I heard those Marquee shows from 1980, I don't think I was great. But I've caught up with them." At the time of the axed show in Berlin, Bono's bandmates Adam Clayton, Larry Mullen and The Edge posted a message on the band's website and admitted they were baffled by what had happened to the singer.